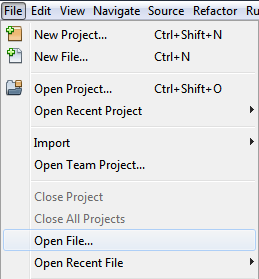 Display the desired file in the project tree by opening the appropriate logical folder, then double click on the file. This will NOT add the file to the project. It will simply open the file in the editor for viewing. 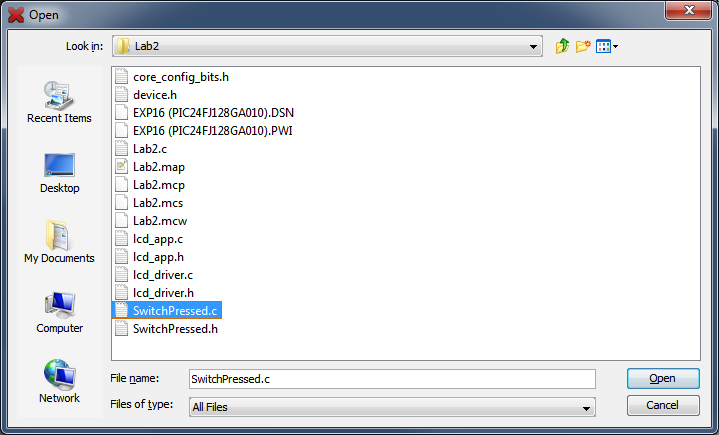 In the Open File dialog, select the file(s) you wish to open. The file(s) will be opened in the editor, but they will NOT be added to the project. 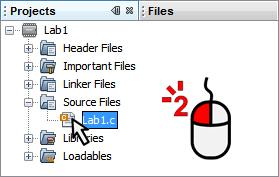 Multiple files may be selected either by holding down the Ctrl key and clicking on each individual file or by selecting the first file in a contiguous range, then holding down the Shift key and clicking on the last file in the contiguous range.